Book of Beasts is the third in the Hollow Earth series of fantasy/sci-fi novels for young adults. The story continues the journey of twins, Matt and Em, and their friend Zach, as they learn more about their Animare powers and the dangers these powers can lead them into. 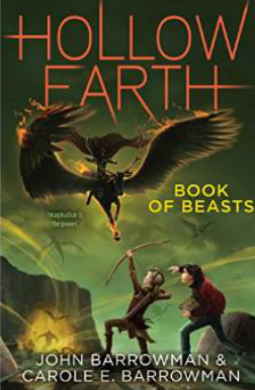 Book of Beasts was published in the UK on July 17, 2014 by Buster Books (a division of Michael O’Mara) and was released in the US by Aladdin Books, the children’s division of Simon & Schuster, on October 6, 2015.